True Value is a unique hardware store that is a cooperative made up of independently-owned stores. The retailer prides itself on offering “quality products, exception service and expert advice.” Shoppers can find great deals on tools, building materials, outdoor living essential, paint, and appliances. During the holidays, you can even find holiday decorations like Christmas trees and holiday lights. 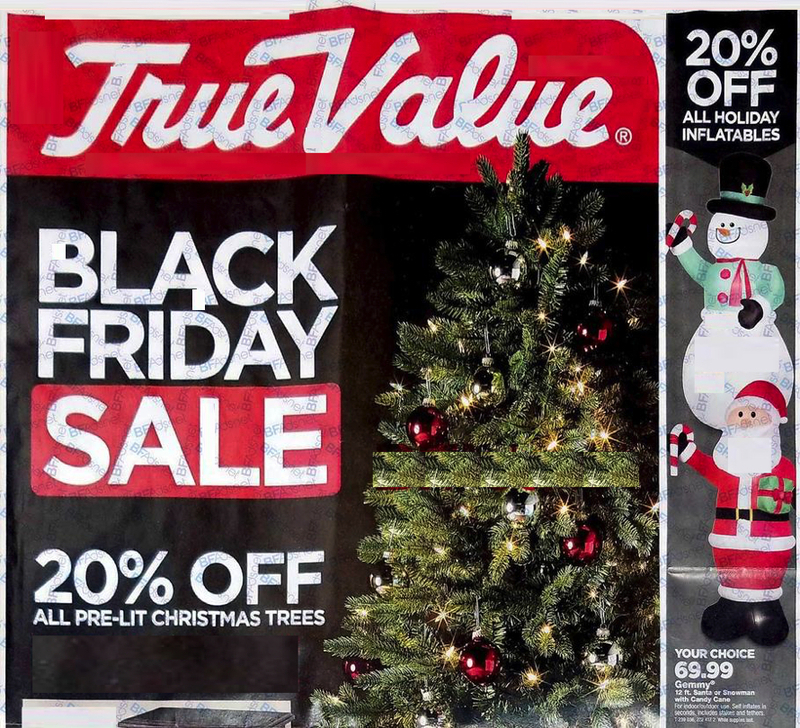 The True Value Black Friday ad tends to be a winner, because the retailer offers great deals on a wide variety of items from every department of the store. Since many people host friends and family during the holidays, True Value wants to make it easy and affordable to purchase items to make your home truly shine for holiday guests.